It started as a rumour: there was something in the ground. Over the last year, I have been researching, writing and making work about and around blue marl. 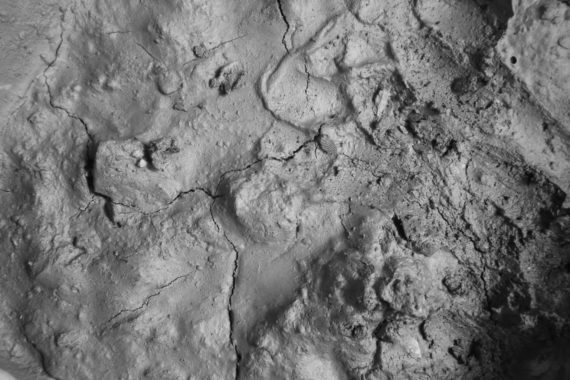 Marl is the name given to a dense mineral mud, composed of clay, silt and calcareous matter. Formed millions of years ago from fossilised marine animals, vast layers of marl were deposited by glaciers during the last Ice Age. Blue marl is a specific kind of marl identified by Gerard Boate in 1652 as distinctive to the county of Wexford in Ireland. While on a residency in rural Wexford in 2017, I discovered veins of blue marl in nearby excavations for a new house. It is a blue-grey mud by day that glints brilliantly in torchlight at night. For centuries, marl has been unearthed for use as a primitive fertiliser or soil conditioner. From the seventeenth century, marl became of particular interest to British colonisers, for whom it presented an opportunity to extract maximum yield from Irish lands. Despite this, marl itself proved substantially resistant to its own extraction: when wet, it was heavy and could not be efficiently carried further than the next county; when dry, it powdered and scattered in the wind. Further, marls pits were viewed as a danger to incautious landlords roaming their estates on horseback. Post the development of twentieth-century artificial fertilisers, memories of marl’s use in agriculture has all but vanished. A field underlaid with marl is viewed as a hindrance as the soil above is liable to waterlogging; the same qualities mean the discovery of marl is a problem when requesting planning permission for housing. Though described in great detail by natural historians of the seventeenth and eighteenth centuries, as a designation marl has fallen out of favour – it is too imprecise a term for modern science. And though marl still lines the hillsides of Ireland, and fields are regularly pockmarked by defunct pits, it may as well be invisible. Today, marl is a matter of folklore rather than function. Following two exhibitions of work relating to this project (at NCAD, Dublin and The Muted Horn, Cleveland), I am again resident at Cow House Studios in September 2018, and supported by an a-n Artist Bursary to develop a publication. In planning how I might report here on my progress, I was inspired by Karen Pinkus’s 2016 book Fuel: A Speculative Dictionary. 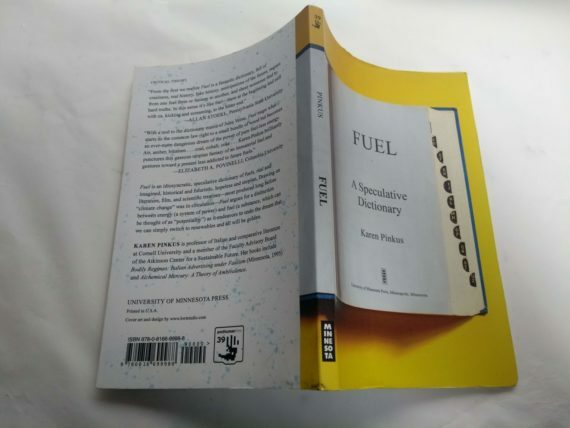 While it takes the form of an alphabetical dictionary, the content is tangle of facts and fictions, in which an idea of ‘fuel’ emerges within and through human histories and fantasies. The dictionary even begins with a dream: you are in the gardens of the Palace of Versaille, and you marvel as the first hot air balloon takes flight – in fact, you are in the balloon basket, together with a menagerie of farm animals and inventors. Accordingly, I have chosen to document the development of this project in the form of a speculative glossary. Under a series of headings or key terms, archival research will mingle with other texts, images, guesswork and memories. Laying out my project in this manner, I hope to both record and develop my thinking and work towards a publication. While our projects differ in their breadth – Fuel is extraordinarily expansive – in my work on and with marl, I also hope to recover something of this yet-to-be-made-rigid. Marl leaches from the land: always in excess, always a potentiality, always ungovernable. So I’ve been feeling a little stuck. I go out in the dark with a headlamp. It’s really dark. I grew up in Galloway Forest, apparently one of only four Dark Sky Parks in the western world. I know dark. I walk away from the house. I follow the gravel path, past the pond with its sleeping geese. I cross the little footbridge, with its shiny, treacherous planking. I tramp onto the road and round the corner. The house disappears. I switch my headlamp off. It’s so quiet. I can hear the snails in the hedge. I walk, by body memory more than sight. Things take longer in the dark. I squelch left, avoid the thorny thicket, cross an invisible threshold. My boots are really sticking to the earth now. Great clods of clay meeting synthetic fabric. Heavy. I think: sticking is resistance. Heavier still where the rain has pooled in the mud. I switch on my headtorch. 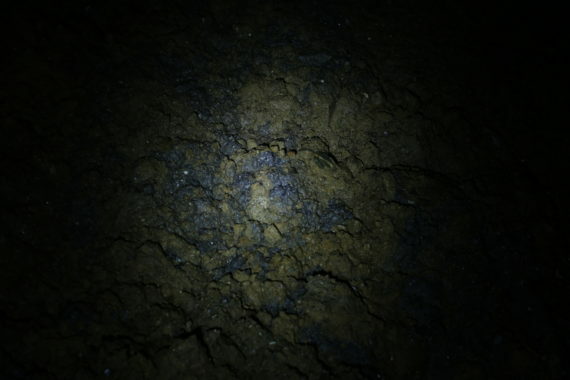 It is only at night, that marl appears to glitters with such brilliance: a sharp, shock of blue against muddy seams of topsoil and brown clay. In daytime, broad and flat light, marl appears more as a silvery, glinting grey. But torchlight is a different kind of illumination – it revels in the fragmentary and the fractal – offering only a partial grasp on what lurks in the dark. 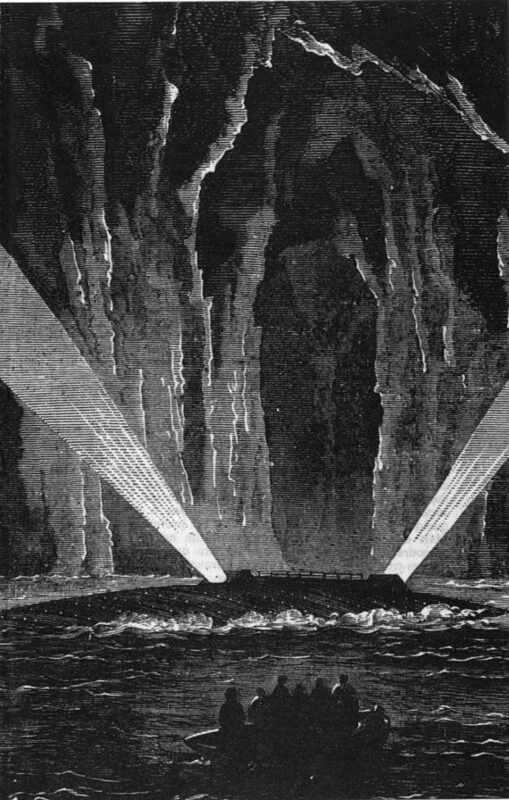 Verne’s cave is proposed by Serres to be the opposite of Plato’s cave. Plato’s allegory of the cave seeks to show that human perception and knowledge gained through the senses is illusory. Real knowledge must be gained through philosophical reasoning: ‘truth’ therefore is attained by those who leave the darkness of the cave. Vernes’ cave, however, is not a place of obscurity or hallucination: it is the site of the most brilliant light and colour. It is here, in the reflective light of the torch that another way of knowing might emerge. Perhaps the view from the headlamp and the condition of near-darkness, a discovery in the black unknown – is fitting for an investigation of marl. Over the centuries, as excavated marl holes pockmarked the landscape, often abandoned when they filled with water, folklore and rumour produced dark tales out of their artificial and mysterious topography. The spectre is exorcised from the house and confined to the marl pit – not in the water or bound to the clay, but somewhere inbetween. There, the phantom is contained, but free to generate its own luminescence. The tale, passed down generations into myth, presumably acted as a deterrent, warning against against straying too close to the treacherous pool. Other tales tell of “marl holes with no bottom“, pits haunted by a banshee (or “bow”), and what became known as “the murdering hole”, after a community took shelter in a marl pit but failed to escape detection from invading Danes. What these folk histories reveal is the diffraction of knowledge through different bodies over time, in which some stories stick and others slip away. Diffraction is also about light: it is the diffusion and interruption of a light beam. In a way, it might describe the light of a torch, shone into a gleaming, glittering substance, which reflects, differentially, back at the viewer. Looking at marl – whether by torchlight, through the microscope or shimmering in the light of day – can never be a passive or ‘objective’ observation. It is to glance into a dark mirror, in which human histories of extraction, capital and conquest are reflected, reshaped and retold. Marl, in the height of its use in agriculture, was commonly described as a treatment for ‘exhausted soil’. It was not therefore recommended as a general accelerant or helpful addition to healthy, fertile land. It was rather, applied in times of desperation, when the soil, overused and depleted, was becoming less and less productive. In the eighteenth century, soil fertility was a critical issue across Europe. From 1660-1750, agricultural practices underwent significant changes. New species of vegetable, many drawn from the newly “discovered” Americas, were introduced to Britain. Clover and turnips were two of these alien crops, grown as fodder for wintering farm animals. This practice had an accelerating feedback effect: as more animals could be kept, more dung was produced. Dung was used to manure the land, and thus produce more fodder crops. Along with the increasing irrigation techniques and the formation of water meadows, this led to the output of the soil and the use of land gradually increasing and intensifying. As a result of this accelerated exploitation of agricultural land, the depletion of soil become a chief concern of the growing capitalist societies of Europe (a concern only matched by that with the loss of forests, urban pollution and overpopulation). Governments, early scientists and enterprising landowners hunted for potential fertilisers everywhere: resulting in transnational endeavours such as the guano trade, phosphorus mining and even (as recounted to me in a wonderful anecdote from RDS librarian Gerard Whelan) the powdering of mummified Egyptian cats to be sprinkled on English soil! “Capitalist production collects the population together in great centres, and causes the urban population to achieve an ever-growing preponderance. This has two results. On the one hand it concentrates the historical motive force of society; on the other hand, it disturbs the metabolic interaction between man and the earth, i.e. it prevents the return to the soil of its constituent elements consumed by man in the form of food and clothing; hence it hinders the operation of the eternal natural condition for the lasting fertility of the soil. The invention of artificial fertilisers (as by-products of research developing chemical warfare) in the twentieth century somewhat sated the appetite of agriculture, vastly increasing the yield of farming globally. Two German chemists, Fritz Haber and Carl Bosch, devised a way to transform nitrogen in the air into fertiliser: what they described as: “Brot aus Luft” or “Bread from air”. Despite this monicker, the process of generating nitrogen fertiliser requires vast amounts of natural gas and coal, and even today, accounts for more than 50% of total energy use in commercial agriculture, as well as being a significant pollutant in itself. Moreover, synthetic fertilisers have not solved the problem of overproduction and exhausted earth. Scientists noted in 2015 that soil erosion and nutrient depletion was the biggest threat to global food security and a contributor to climate change, as carbon once sequestered in soil is gradually released into the atmosphere. Alternatives to dominant modes of food production have always existed – and waxed and waned in popularity – but it is the drive for consistent growth and productivity that continues to take precedence (and investment) over other ‘slower’ and more labour-intensive ways of growing. I opened an exhibition last year with a looping gif displayed on a small screen. 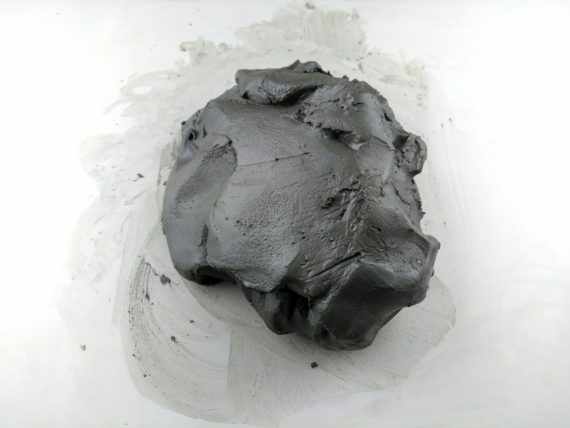 It showed a second or so of the processing of marl as clay: a lump of marl is repeatedly turned by hand in water. In the animation, marl becomes a blue-grey planet rotating in a translucent bath, turning without tiring: it is the fantasy of capitalist acceleration, that the earth might beget its rewards interminably. But as the human history of marl teaches us, this was always, already, a disintegrating delusion. 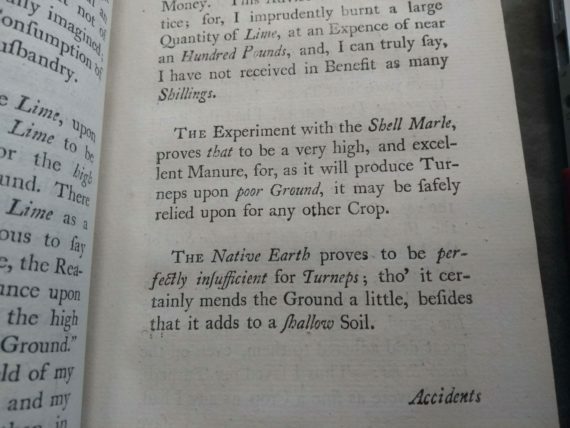 So described the Irish geologist Richard Kirwan (1733-1812) in his 1796 publication The manures most advantageously applicable to the various kinds of soils, and the causes of their beneficial effect in each particular instance. President of the Royal Irish Academy, the Galway-born Kirwan wrote extensively on topics including chemistry, meteorology, geology and magnetism. He also may have joined, and certainly befriended members of the Society of United Irishmen, an eighteenth century political organisation that sought parliamentary reform, and later revolution and the overthrow of British rule. 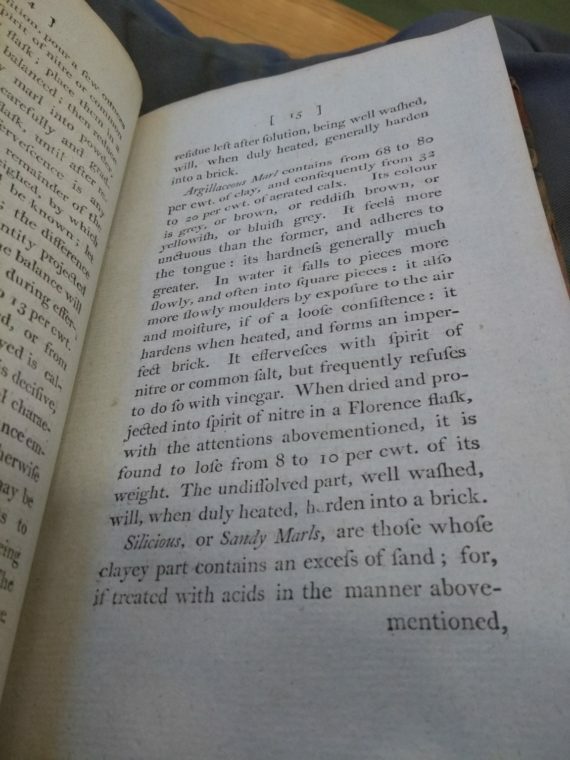 Marl features heavily in Kirwan’s account of manures, which I found and read in the beautiful Marsh’s Library in Dublin (Ireland’s first public library of the Enlightenment, opening in 1707). In his description, the word ‘unctuous’ jumped out at me. It is a late Middle English word: it comes from medieval Latin unctuosus: from Latin unctus (anointing) and from unguere (‘anoint’). 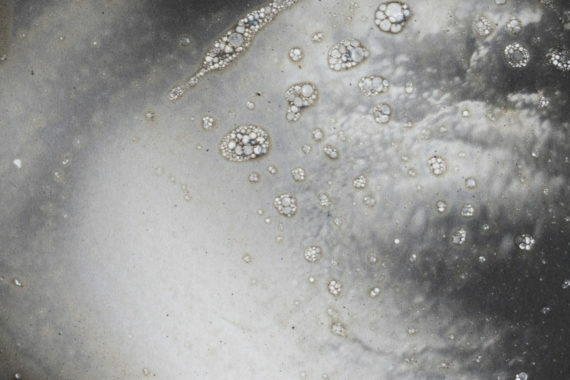 Here, unctuous is refers to the texture of the mineral substance in question: marl is distinctively slimy, greasy, soapy. 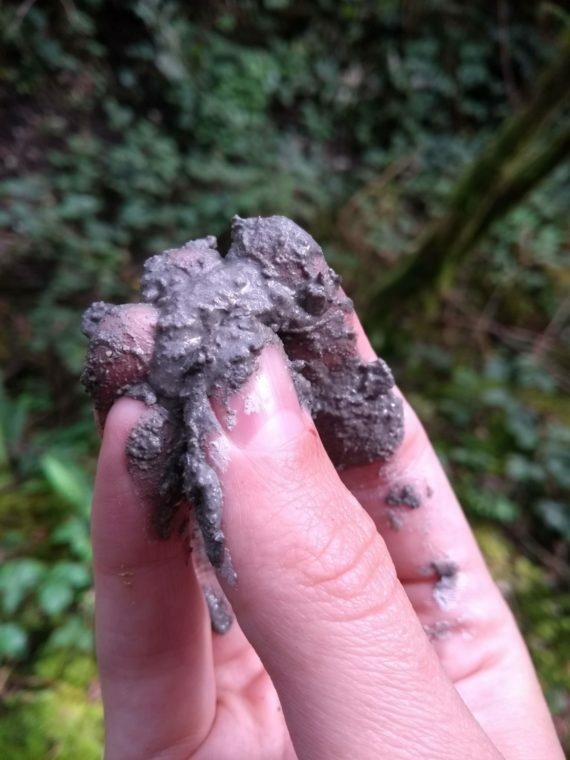 It is one of the ways in which I have begun to instinctively identify marl when traipsing the fields and forests of Wexford: it requires scooping the substance and sliding it between the fingers. Therefore, the exploration of mineral by fingers is an encounter with something other than human, in a continual (and possibly futile) attempt to discover what being human is. In my work, I have been determined not to speak for marl (inviting the material itself to speak, for example, in photographic emulsions mixed and destabilised with marl dust) but there is hubris in thinking that I can ever truly access lithic being (noting of course, that we are all ‘becoming stone’: after birth, our bones begin fusing and after death, our bodies may fossilise). However, I am intrigued by the double entendre of ‘unctuous’, with its simultaneous meaning of insincerity. In humans, it is a loathed description with so many words to condemn it: sycophantic, ingratiating, obsequious, fawning, servile, self-abasing, grovelling, subservient, wheedling, cajoling, crawling, cringing, toadying, flattering, adulatory, honey-tongued, silver-tongued, gushing, effusive, suave, urbane, glib, smooth, smooth-tongued, smooth-spoken, smooth-talking, slick, slippery, saccharine; oily, oleaginous, cloying, nauseating, sickening. Unctuous is being shifty and seductive: and I wondered if these qualities might also apply to marl. On my first trek into the woods this week, I came across a small circular dip in the ground. No trees had taken root there, and the short grass and mosses growing inside were brilliantly green – like a fairytale glade. Knowing precisely what I was looking at, as if in a trance I nevertheless stepped squarely into the clearing. 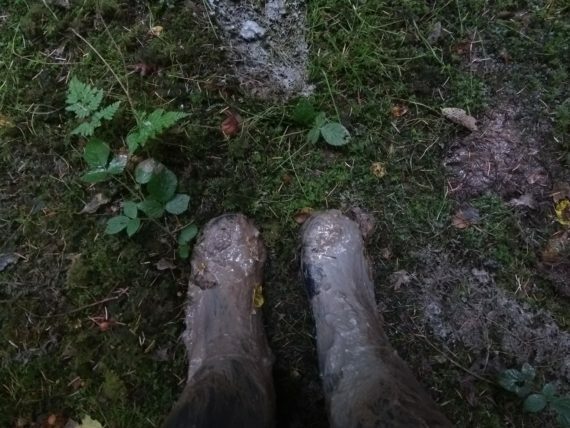 Immediately both my legs sunk a metre into the ground – with a small spark of panic, I realised I could feel absolutely no bottom beneath my feet: I was merely held in place by the density of the marl that filled the old pit. 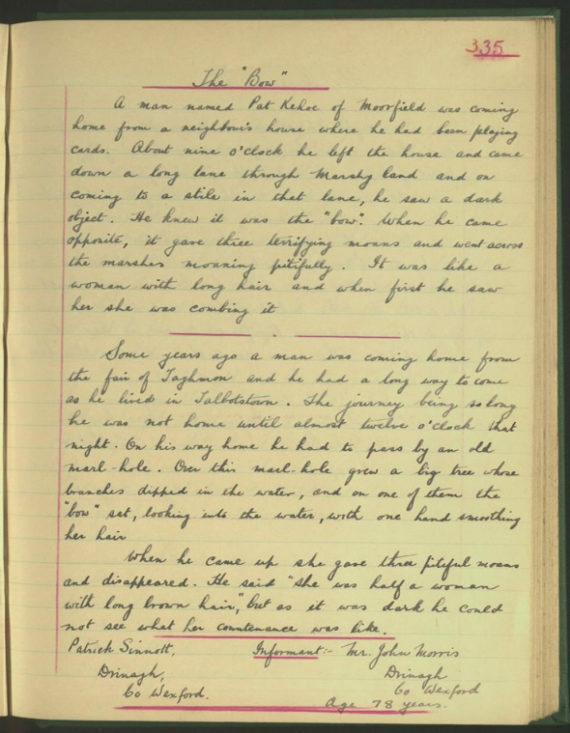 That marl pits – dug by farm labourers – posed a threat to the gallivanting gentleman farmer who presumably ordered the pit to increase their yield is a bittersweet irony! Yet amid the allure of marl there lurked another threat, with more significant and lasting impact. But I’ll save that and more on marl pits, for a another entry in the glossary.